Catherine Ormen studied at the Ecole du Louvre, Ecole du Patrimoine and Studio Bercot, and is an expert on the history of fashion. She works as a curator, teacher and author, and has written several reference works on the history of fashion, including L'art de la Mode and Dior for ever. 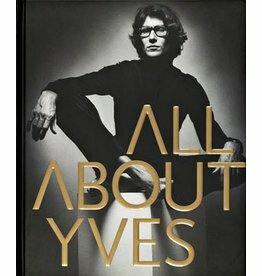 One-of-a-kind book detailing the work and life of Yves Saint Laurent.